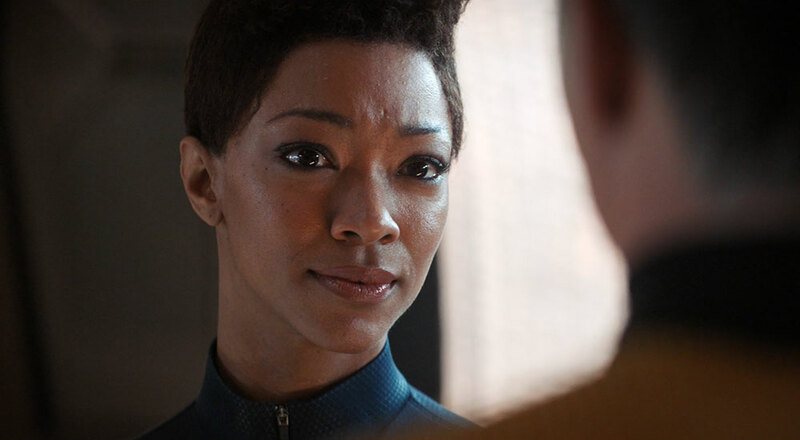 The full line from Shakespeare that the latest Star Trek: Discovery episode references is “parting is such sweet sorrow,” from Romeo and Juliet. 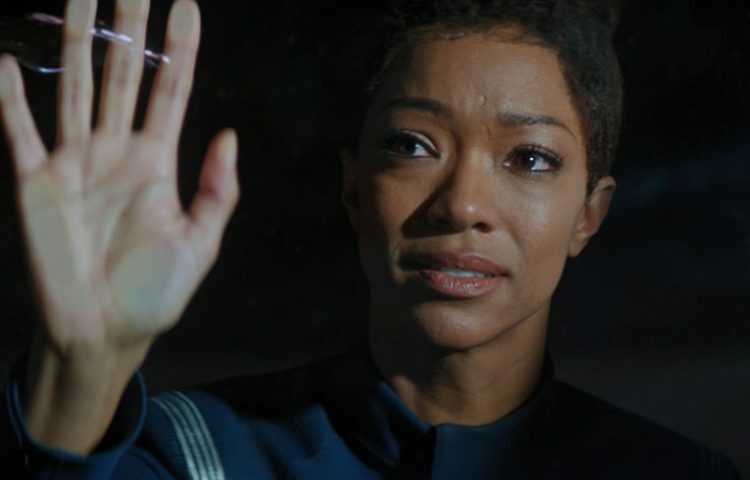 And it is definitely appropriate for this episode, as we see plenty of goodbyes as the Discovery crew prepares to undertake its final mission. 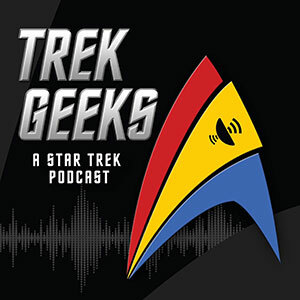 It’s because of these goodbyes that the episode has a tendency to drag a bit – not unlike the penultimate episode in season one – but nevertheless it effectively sets up the final battle between the Discovery-Enterprise team and the Section 31 fleet. Individual goodbyes from the secondary crew to their off-screen loved ones. That’s quite a list, and on the whole, they land effectively. The Tilly/Burham goodbye is especially noteworthy, considering the history these two characters have. This goodbye should have actually been more fleshed out considering how close those two are, but the time that could have been used for Tilly was instead granted for a scene where the crew opts to stay with Burham and help her complete her mission. 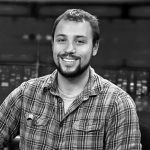 A fair trade, and one that serves to highlight not just the familial bond Burham and Tilly share, but the entire Discovery crew. The other major goodbye of note was the crew’s goodbye to Pike. 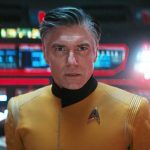 Even though we will see Pike next week, you definitely get the feeling he will not return to Discovery or see any of these characters again. 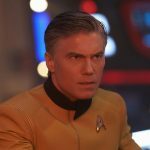 Sending off Anson Mount after a terrific performance is no easy feat, and here the episode’s writers opt for the less-is-more technique, where the crew simply stands at attention and emotes respect, admiration, and longing for their departing temporary captain. And on Pike’s part, it was a nice shoutout to the season’s first episode when he was saved in the asteroid field sequence by Detmer and Owosekun. 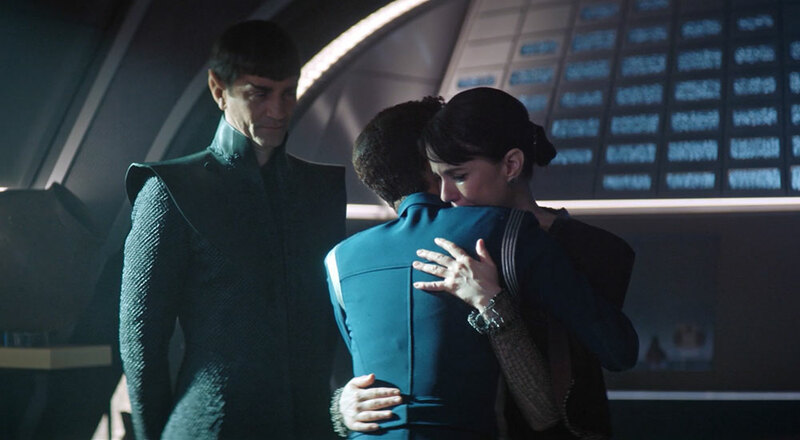 And for Spock, Pike simply says “there are no words.” Will these two see each other again? Besides leading up to the season finale, “Such Sweet Sorrow” welcomes back the Enterprise, not seen since the season’s first episode. And boy is it good to see her again! Instead of just getting an exterior shot, we are treated to several new interior sets, including the famous bridge. 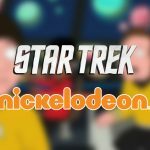 Clearly, we were never going to see a bridge that mimicked The Original Series, as that would look awful in contrast to Discovery’s aesthetic. Instead, we get a pleasant cross between the old set and Star Trek’s modern design. Familiar elements are in place, like the red consoles and railing and some 1960s-era panels, but the bridge itself is much more open and sleek, with prominent modernized graphics and just more things to look at. Based on the bridge’s debut in this episode, the production team clearly put in the extra effort to serve the ship well. It’s a shame if we only see this set for two episodes. 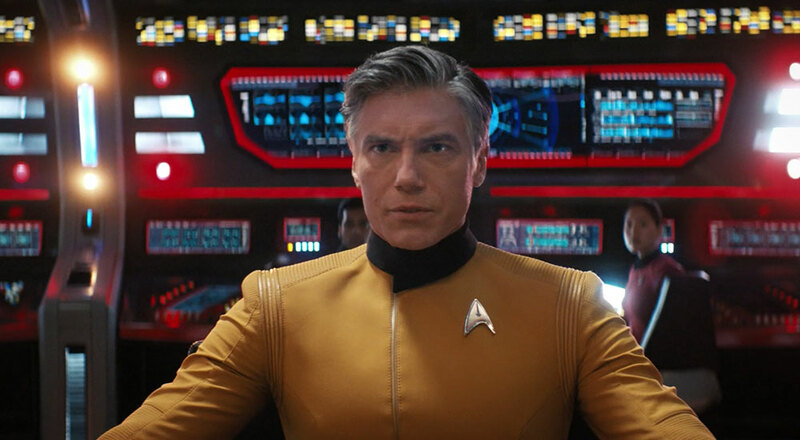 But, those looking for more Enterprise action will surely get their fill in next week’s episode, where we are likely to see the biggest space battle of the season. 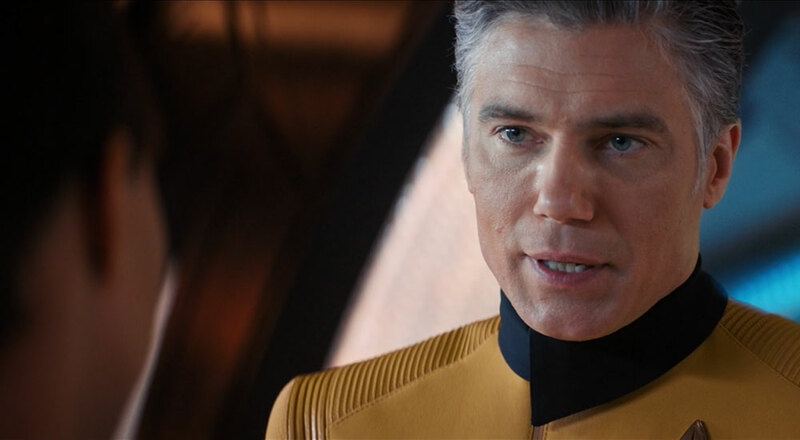 The board is set for a final confrontation between Section 31 and our heroes, and next week should see plenty of excitement as we learn how the writers will conclude Burham’s mission to the future. She’ll most certainly make it back, right? But that would be too obvious a conclusion. 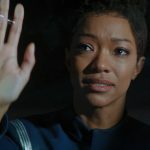 We know based on the excellent Short Trek episode “Calypso” that the Discovery somehow ends up in the future (with a conscious computer intelligence onboard, interestingly), so presumably we might be getting a Discovery-A at the end of the season? At this point, the writers for this show have surprised us enough for us to not assume anything. 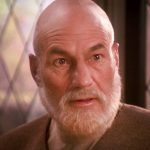 Number One’s line about the Enterprise no longer having holographic communications is a fine way to maintain continuity, if not a little too pointed. 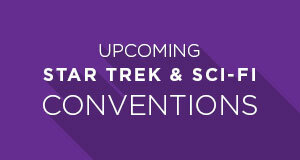 Plus, we are still early in the Star Trek timeline. If the Enterprise was having problems with its holographic communications, surely by the 24th century these problems could have been fixed? 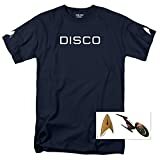 Even if Control raised the shields on Discovery to prevent it from being destroyed, couldn’t the Enterprise just repeatedly pound it with torpedoes and phasers until it’s destroyed? Discovery isn’t invincible, especially since the Enterprise is a more powerful ship. Just how many worker bees and shuttles do the two ships have? In any case, fighter-based Star Trek combat is reminiscent of Star Trek: Shattered Universe. Anybody play that game?